A practicing attorney for over 20 years, John G. Nalls, Esquire is a founding member of Counselors Title, LLC as well as the Law Firm of Pardo & Drazin, LLC (formerly Darby, Nalls, Smyth & Muldoon, LLC). He is also the Managing Attorney of the Counselors Title Friendship Heights Office. Immediately prior to founding Counselors, John was a principal in the Law Firm of Ridgway, Griffin, Kestner, Smyth, Stanton and Nalls, Chartered and served as Attorney Manager for the Bethesda office of Universal Settlements, a position he held since September of 2001. During that time, John managed one of Universal’s most successful offices and established solid relationships with real estate professionals in one of the most competitive markets in the city by providing quality continuing education and exceptional legal support. A native Washingtonian, John graduated from Gonzaga College High School in the District in 1982, obtained his undergraduate degree from Gettysburg College in 1986, and received his law degree from the Catholic University of America in 1989. For the next two years, he served as a law clerk to the Honorable Irma S. Raker of the 6th Judicial Circuit of Maryland. John then conducted a general litigation practice in Rockville for the next 11 years, first as a partner in the law firm of Rowan, Quirk and Nalls and then as a sole practitioner in the Law Offices of John G. Nalls. John is a member of the Maryland and DC Bar Associations and the United States District Courts for both jurisdictions. 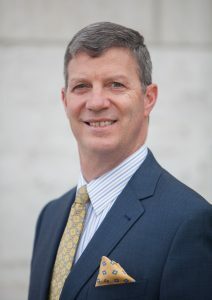 In addition, he is a member of the Character Committee for the Maryland Sixth Judicial Circuit, the Greater Capital Area Association of Realtors (Affiliate Member), the American Land Title Association, the Maryland Trial Lawyers Association, and the Montgomery County, Maryland Bar Association, where he serves as the Continuing Legal Education Chairman for the Real Estate Section . As a lawyer, John merits an “AV” Peer Review Rating, the highest level, reflecting his exceptional skill and integrity as affirmed by the Martindale-Hubbell peer review. His varied and substantial legal background and experience allow him tackle even the most difficult transactions. John continues to live in Bethesda with his wife and four children and remains active in the community, serving as volunteer co-director and coach of the Maplewood Football program for the past 17 years, as a CYO Board member and coach for the St. Jane de Chantal School, a member of the adult choir at St. Jane de Chantal Church, a Merit Badge Counselor for the Boy Scouts of America, and a member of the Bethesda Chevy Chase Chamber of Commerce and the Catholic Business Network.